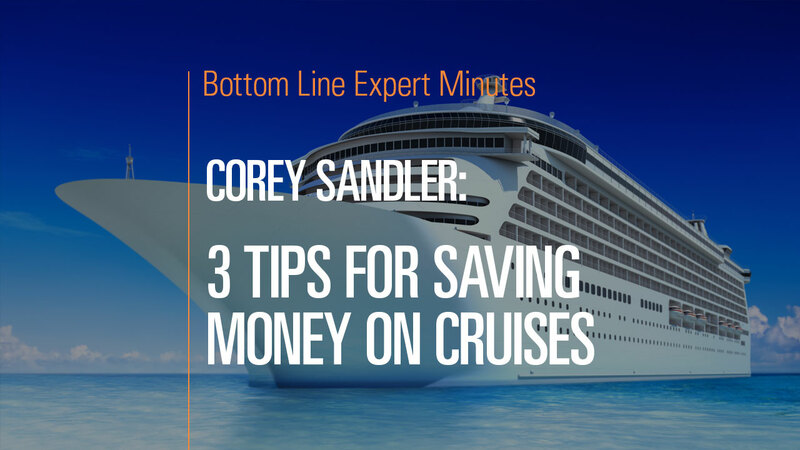 Corey Sandler, consumer expert and author of Bottom Line’s Secrets of the Savvy Consumer, offers his top three tips for saving money when booking a cruise. First, know what you want from a cruise. If destination is not a concern and you simply want the experience of a vacation on a ship, consider a repositioning cruise, where a ship is being moved from one location to another with passengers aboard. Repositioning cruises usually are less expensive than destination cruises. Also consider traveling during off-peak or “shoulder” season (right before or after the preferred cruise season). Finally, select the onboard experience that matches your wants and needs so that you end up paying only for the features and amenities that are important to you.